When we imagine the antics of the average 15-year-old boy – not that this is something that takes up much of our time – we do not envisage them planting 150 grape vines in their parents’ garden and making fruit wines, however, this is precisely what the teenage Pieter-Jan Frooninckx did. 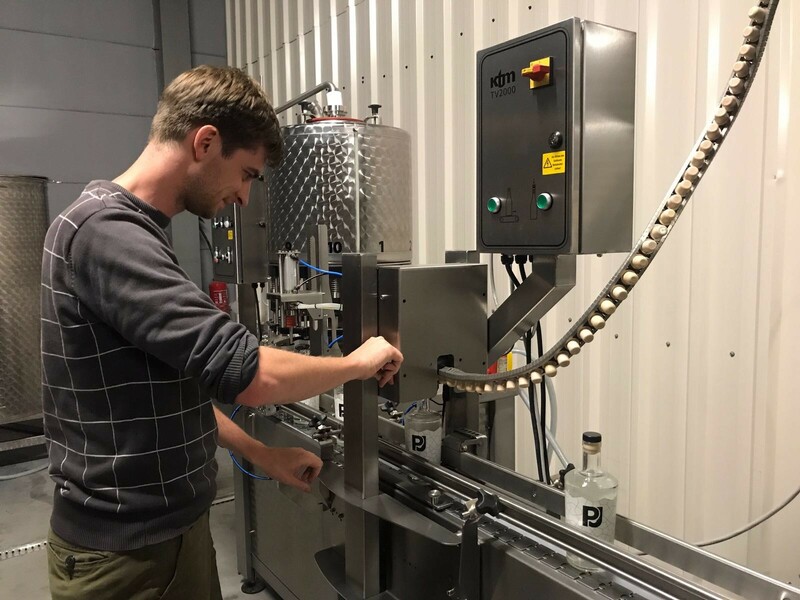 Now, at the age of 28, he is the head distiller at Belgian Spirits Company, and creator of a fine portfolio of spirits, including the brands PJ Gin and Havn Gin. 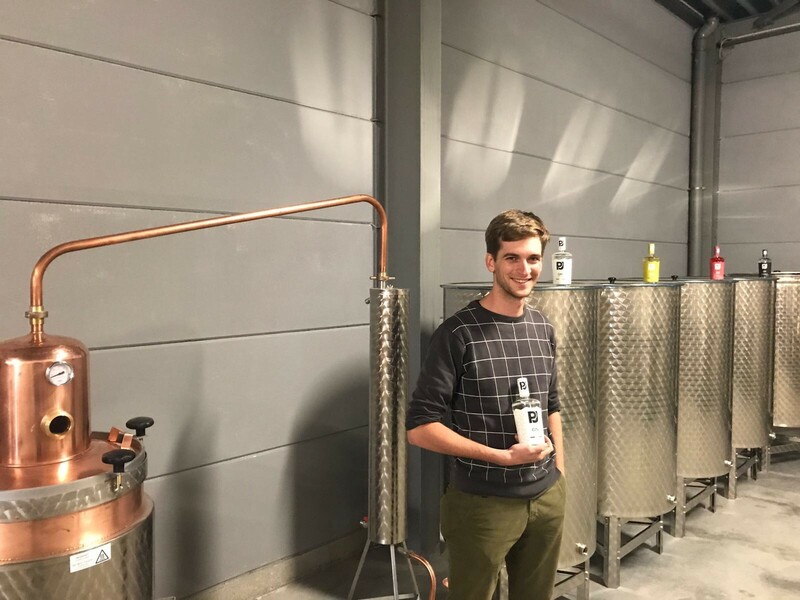 After one sip, Sated pulled Brand Ambassador, Michael Oyen, away from the PJ Gin stand, debuting in UK for the first time at Gin Festival 2017 (read our overview of the event here), to quiz him on these intriguing Belgian products. From a young age, PJ always had a passion for food, flavours and the “aroma” (we are told) of wine, so at 15, he naturally decided to try and make wine…Being the enthusiastic sort, he got to work, planting 150 vines in his parents’ garden before realising these would need to be left for three years before they could yield good grapes. Undeterred, he set about making wines out of anything with sugar in it – apples, pears, bananas – producing apple wine that ended up tasting like cheap Chardonnay. After a lot of trial and error, he concluded that he would need a much bigger vineyard in order to make money out of this, so he tabled this dream, took what he’d learnt and set about creating liqueurs instead. At the age of 17, PJ started distilling his own alcohol but soon came to realise that the Pot Still method meant that it was impossible to keep the flavours he wanted from his base material. He therefore delved into his research and eventually discovered a technique used in vineyards where charcoal was crushed and added to wine sitting in an open barrel for two hours before being removed. He discovered that this process resulted in beautifully smooth alcohol and adopted it for his use, creating his own charcoal out of birch, which he found gave a natural sweet flavour. With this base achieved, he began to create liqueurs that maintained the essence of the fruits through a slow extraction process and which had a natural sweet & sour balance. What separates the two brands however, other than price-point, is a complexity of ingredients and flavour infusions. PJ Gin is simple, upfront and youthful, whilst Havn Gin is stunningly complex, nuanced and unbeatably unique. 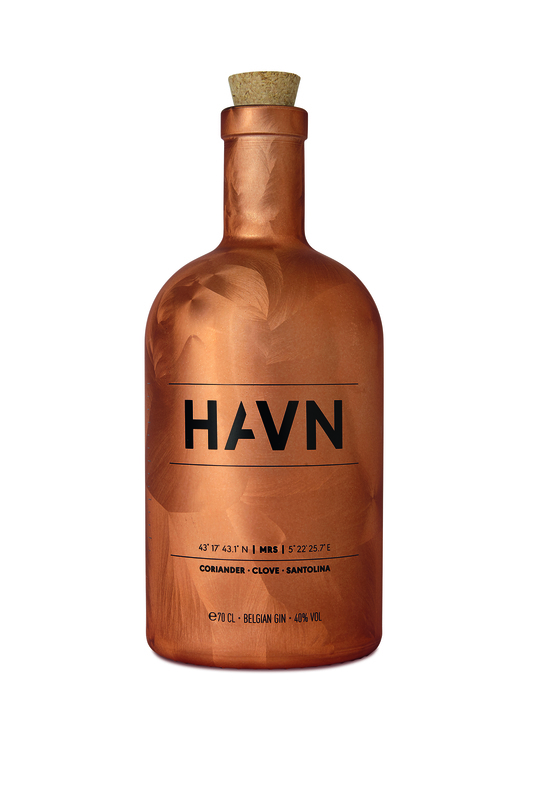 Click on the images below to read our full reviews of Havn Gin and PJ Gin. With both PJ Gin and Havn being sold throughout Belgium and Havn in particular becoming a firm favourite with the fine dining community, Michael states that the next step is to launch internationally. The first steps of this have recently been achieved at Gin Festival 2017, where PJ Gin was introduced to the British public for the first time and is now available for purchase at Gin Festival online. However, they aren’t planning to stop there, or in fact, with their gin brands. As their vodkas and rums are already award-winning, Michael concedes the fact that there were talks about creating tonics and mixers to pair with them, although, with the market saturated with the prolific success of Fever-Tree and Fentimans, this seems to have been tabled for now. Excitingly however, Michael reveals that there are plans to create a spirit that is very much close to his heart – Belgium’s first ever peated whisky! “PJ isn’t so big on whisky but it is something that I am very passionate about and I have managed to convince him to go for it”. As their “English style” rum already uses old whiskey barrels form Georgetown, it will certainly be interesting to see what becomes of this experiment but, having sampled the products of PJ’s phenomenal blending palate, we have no doubt it will be a success. Read our reviews of PJ Gin and Havn Gin. To find out about some more of our favourite gins from Gin Festival 2017, click here. To read more about Belgian Spirit Company, visit their website here.